Marin Mommies presents a sponsored shout-out from Montessori de Terra Linda. On January 17, 2019, Montessori de Terra Linda and Marin Montessori School will host the Brainstorming Tour at the Showcase Theater in San Rafael, featuring Dr. Steven Hughes, pediatric neuropsychologist, and Dr. Laura Flores Shaw, a professor specializing in brain-based teaching and learning. Parents of children of all ages are invited to attend. For nearly twenty years, education policymakers around the world have been “reforming” education systems by focusing on a single outcome: student performance on high-stakes academic tests. Yet, school testing relies on a shockingly narrow range of mental abilities, forcing schools to focus on testing content and “thinking” about that content. This single-minded pursuit of higher test scores ignores decades of neuroscience research demonstrating that movement is entangled with and even precedes the development of cognition. To help children develop the wide range of human capabilities necessary for a successful and happy life in a rapidly changing society and economy, schools cannot solely focus on “thinking” about content. Instead, schools need a different educational framework—one that is embodied and based on how the brain actually develops. Learn how Dr. Maria Montessori’s transformational approach, developed 100 years ago, aligns with current scientific research. Don’t miss this opportunity! 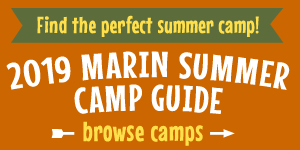 Tickets: purchase online from Marin Center, $20 per person.